In preparation for some springtime photography, I entered “Branch Brook Park Cherry Blossom Status” into Google. An instant dose of disappointment came over me when I read the headline “Coaxed by an exceptionally warm winter, thousands of cherry blossom buds have already burst open at Newark’s Branch Brook Park” in the 3rd item in the results dated March 19th (Link). I rushed over to Branch Brook Park expecting to see the trees past their peak. 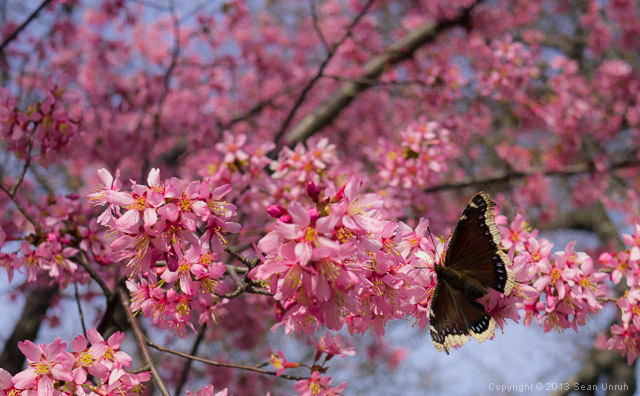 I was surprised to see only a few trees had actually bloomed… it turns out, the article was from last year.